This guide provides a basic introduction to research in Classics, the field of study concerned with the languages, literatures, and artifacts of ancient Greece and Rome. The A-Z list has all the databases we have access to at UD. To find out what databases are the best bets for your particular subject area, also check out subject guides. We have subject guides for all of the subjects taught at UD. These are great places to point your students to so they don't get overwhelmed by all of the resource choices. We can also do small course guides that are for a particular class you're teaching. UD Discovery is a bit like "Library Google." It searches through many (but not all!) of the books, articles and other resources we have access to through our library. It can also search for citations to materials we don't have but that you can obtain through Interlibrary Loan. In general, it's great for looking up the name of a particular article title to see if we have access and looking to see what we have on more obscure topics. Otherwise, more specific databases often work better. Use the catalog to search for books, e-books, and some periodicals. Full-Text Finders allows you to look up what journals that we have with full-text access and what years we have in full-text. 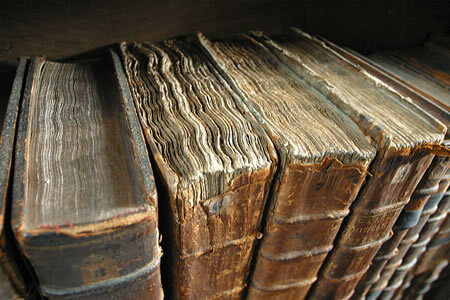 It can also tell you if we have some volumes and issues in print but not electronically. It's a very powerful resource! Tipasa in UD's new Interlibrary Loan system as of summer 2018. This is a simpler system that our old ILLiad system. Let us know if you need assistance! Welcome to the Classics subject guide. Although it is not comprehensive, it will point you to many of the most useful databases, journals, books and reference sources, and online information. It will assist you in both basic and advanced research. Updating is done periodically so keep an eye out for information about new resources and search tips. These may be located in the Reference section (first floor to the left of circulation), or available electronically. Reference books use the same Call Numbers as the circulating books listed above and must be used within the Library.